Wednesday keiko from the 3rd July 2015 will henceforth be at the OCBC Arena, Singapore Sports Hub. This is a new long-term arrangement and we expect this to continue indefinitely. Keiko commences from 7pm to 9pm. Also, in addition to our regular Sunday/Wednesday/Thursday keiko, we will be adding Friday as a new official training day, at the same OCBC Arena. The venue for Sunday keiko is unchanged, remaining at the Changi Japanese School, and Thursdays at Clementi Japanese School. 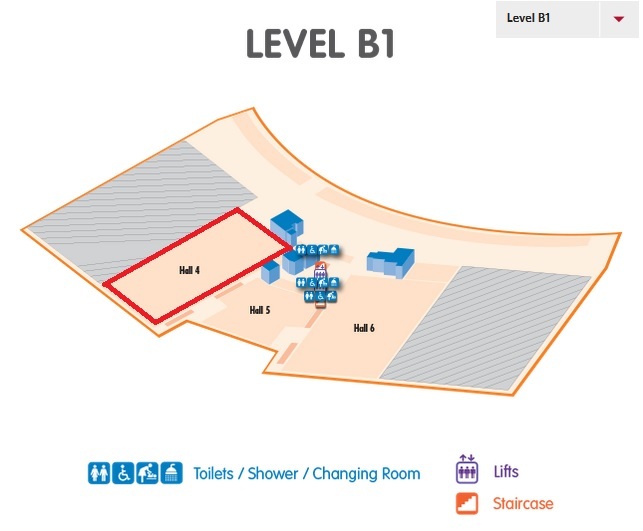 Please make your way to the Singapore Sports Hub, at 5 Stadium Drive, Singapore 397631, OCBC Arena Hall 4 (located in Basement 1). For members taking the train, the nearest MRT is Stadium MRT (Circle Line), but you may also walk from Kallang MRT (East/West Line), which is a 600m sheltered walk. 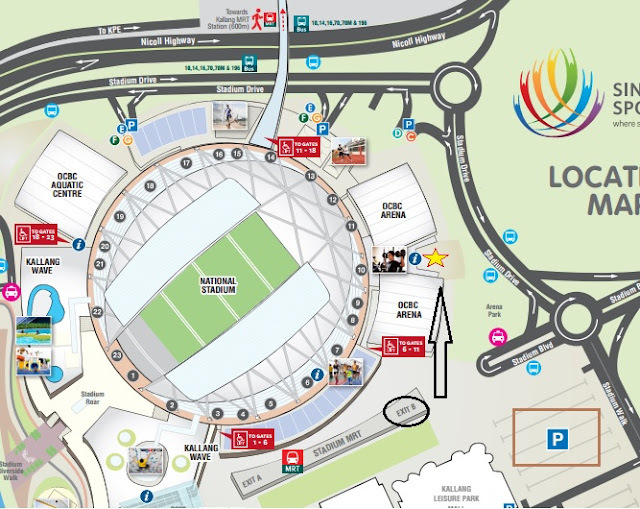 From Stadium MRT, exit via Exit B and walk to the OCBC Arena (see the yellow star indicated by the arrow). It is the same location as when we last used it in January this year. For those taking the bus, the following buses will bring you near the venue: 10, 11, 14, 16, 70, 70M or 196. For those driving there, you may park at either the open air carpark (indicated by the brown square, normal HDB parking rates) or at Kallang Leisure Park carpark ($1.50 per entry after 6pm). As with any other dojo, please keep the facilities clean, tidy and clear of rubbish and in good sanitary condition and leave them in a clean and orderly state. Also, as reminded by Suresh sensei, please bring shoji rags!